A collection of photos taken in my yard. 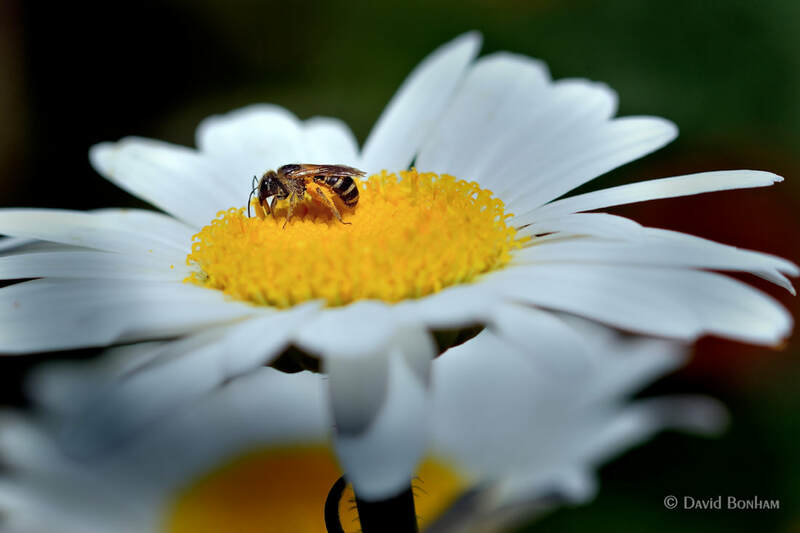 I believe this is a flesh fly on what I know is a Shasta daisy. 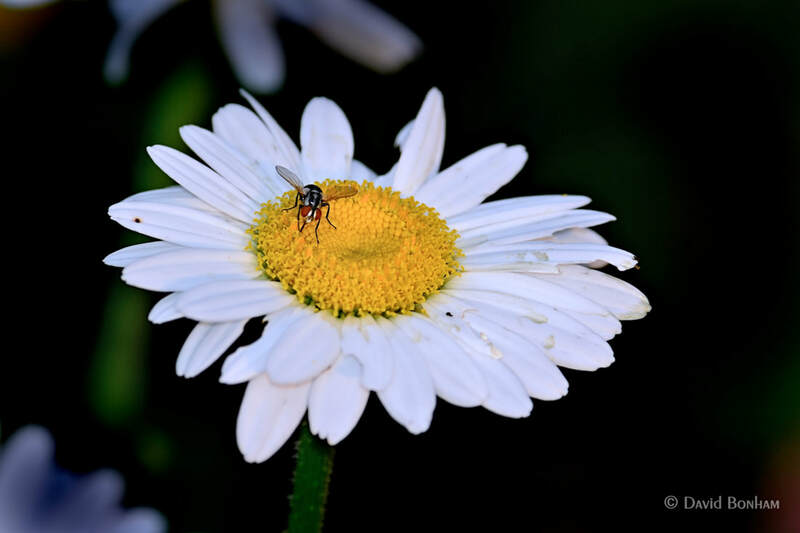 The strong odor of the daisy (which is unpleasant to some people according to Wikipedia) attracts the flesh fly thinking it is carrion or rotting vegetation and thus the fly ends up being a pollinator. Mother Nature is pretty marvelous in the little ways she keeps the life cycles going. 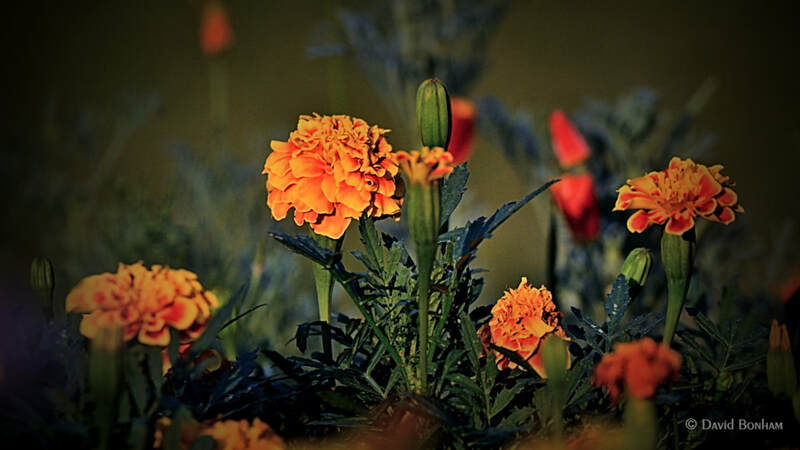 Marigolds, my go to flower when I need quick color and growth. 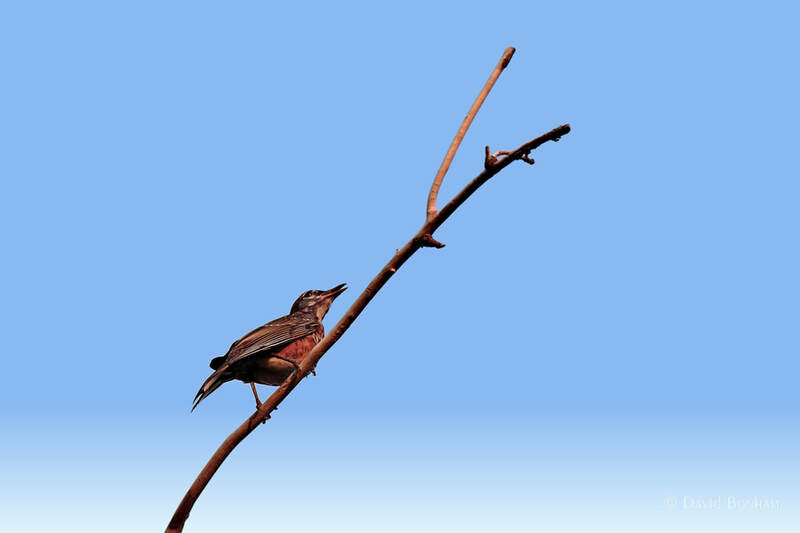 Kind of hard to tell from the angle but I’m pretty sure this is a robin. A honey bee, a more common pollinator than the flesh fly except I think I have seen more flies than butterflies this summer. This maybe because I was so late in getting the garden going. It was after the 4th of July before I ended my rabbit problem and then into August before I had flowers of any note. This is a fork-tailed bush katydid, I think. Now you know at least as much about about fork-tailed bush katydids as I do, I think. 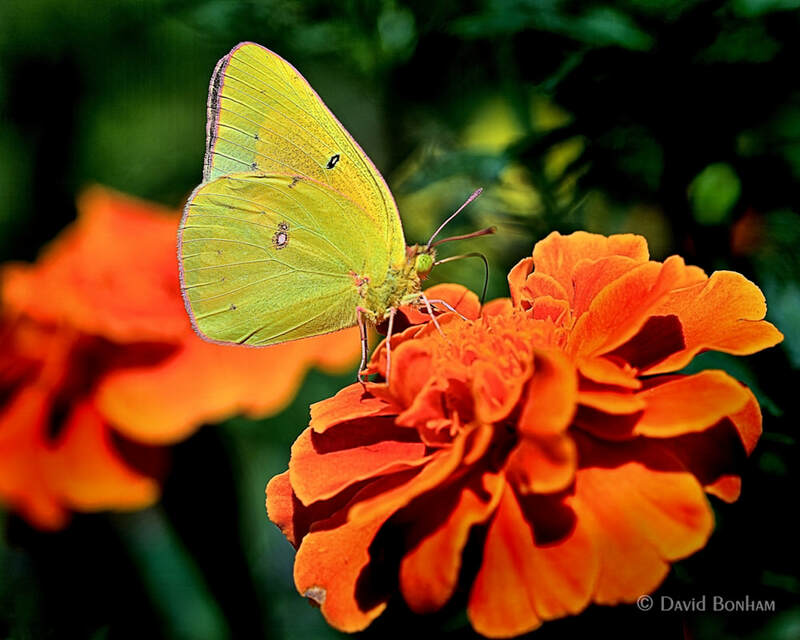 This may or may not be an orange sulphur, but I’m pretty sure it is. I tell you, between the sulphurs, cabbages, and black swallowtails I’ve pretty much lost my confidence in identifying butterflies, especially the latter two. Throw in the female eastern tiger swallowtail (the black form) and I just get down on my knees and thank the Lord I am not an entomologist, especially a lepidopterologist or any kind of gist that has to identify bugs or explain what makes an insect a bug, or is that vice versa. No, I think the vice versa should be vice versa. I’ve no idea of what this is. I’m not even sure it is native to Earth. 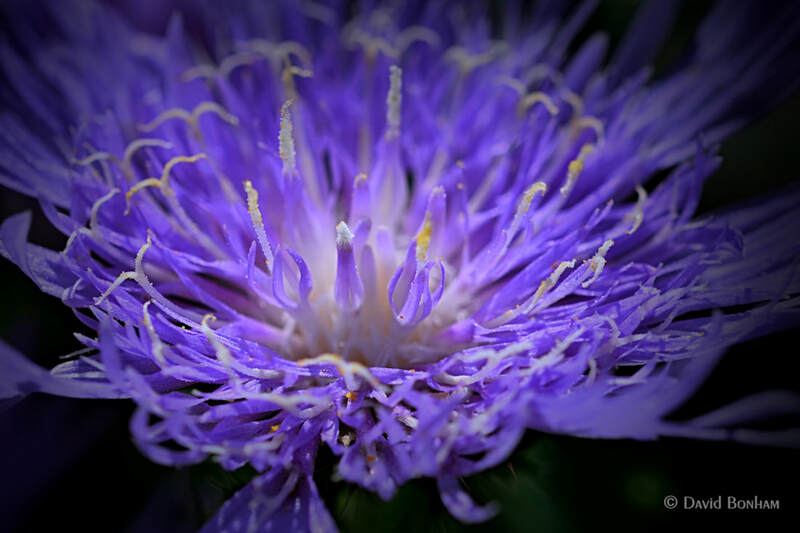 I’m not positive but this may be an aster blossom. One thing I am sure of is that I appreciate the fact that you stopped in to view the photos and maybe read the comments. Thank you. All photos were taken with a Nikon D7100. A Nikkor 80-400mm telephoto zoom lens was used for the first three photos and a Sigma 105mm macro lens was used for all the other photos. 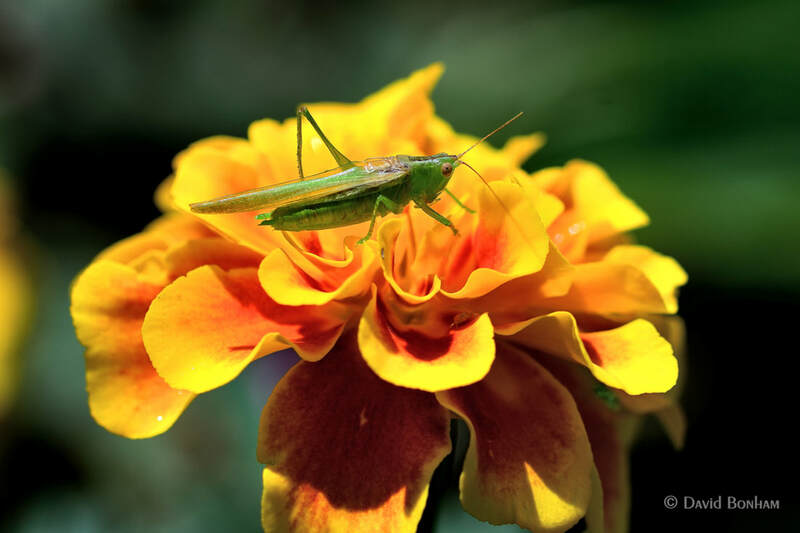 This entry was posted in Insects, Plants & Flowers and tagged aster, flesh fly, fork-tailed bush katydid, Honey Bee, marigold, Nikkor AF-S 80-400mm f/4.5-5.6G ED VR, Nikon D7100, orange sulphur, Robin, Shasta daisies, Sigma 105mm F2.8 EX DG OS HSM Macro, skipper. Bookmark the permalink. This colorful post is most welcome on this dull, cold and dreary day! I can’t do anything about the cold but if I helped alleviate some dull and dreary, then I feel good. 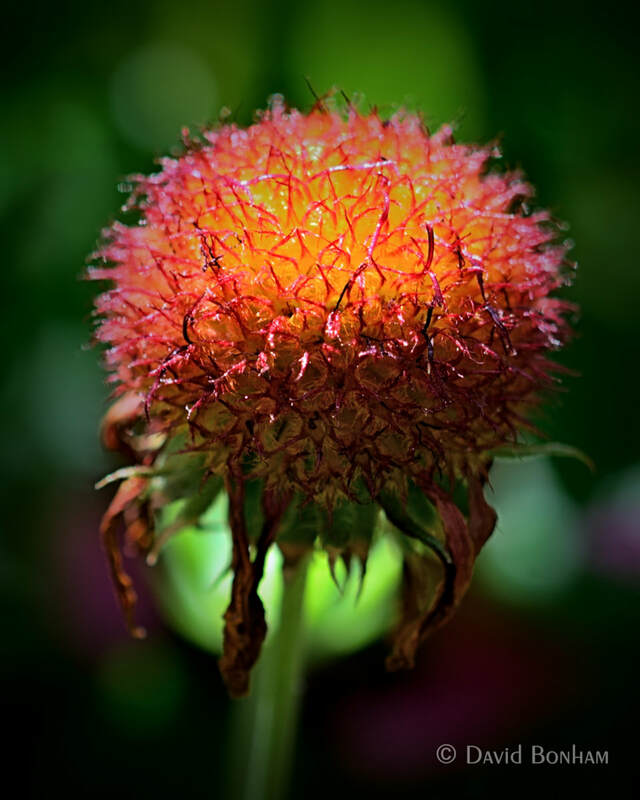 Why do I get the feeling that you’re tending to the garden only to have props for spectacular photos? At least I now know as much about fork-tailed bush katydids as you do. Thank you very much, I truly appreciate it. I would like to go on about fork-tailed bush katydids, but I can’t. Well, actually I could but that would be stretching the concept of poetic license more toward the concept of flat out lying and thankfully there is no licence for that – except maybe for 007, et al.